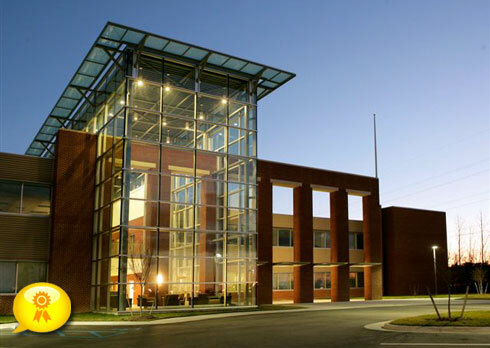 The Virginia Modeling Analysis and Simulation Center (VMASC) was built in 2007 to meet the specific requirements of Old Dominion University and its modeling and simulation research and education objectives. The buildings design reflects an international style of architecture seen in some of the top research and technology centers around the world. The facility houses administrative offices, classrooms, laboratories, collaboration centers, meeting rooms, and space for start up businesses in the modeling and simulation field. The focal point of the 60,000 s.f. building is the 2 story, glass atrium that serves as an iconic and organizing element for the diverse functions that take place in the VMASC Center.